On the 2nd of August 1914 Germany declared its intention to march through Belgium to attack France. When the German army crossed the border into Belgium, Britain demanded the withdrawal of these troops. This demand went unheeded, and on the 4th of August 1914 Britain declared war on Germany. The German attack through neutral Belgium shocked the British public. The attack was accompanied by widespread violence against civilians and private property. Several thousands of civilians were shot, many taken as hostages and many towns were ransacked and destroyed. At first little thought was given to the evacuation of Belgian citizens in the event of German occupation. However, in September 1914 the British Government offered hospitality to Belgian nationals seeking sanctuary. The British Government accepted responsibility for the reception, registration and maintenance of Belgian refugees. They sought out assistance in housing these refugees from local authorities. Within eight weeks a number of properties had been offered and accepted as suitable accommodation for Belgian refugee families. These properties, which were offered, rent free for 12 months, included Royton Hall, Greenacres Lodge, Broomhurst, Chadderton House, 146 Coppice Street, Oldham and 36 Oak Street, Shaw. A Belgian Relief Fund was opened by the Mayor of Oldham, Alderman Herbert Wilde. The money raised was for the furnishing and upkeep of these properties. At a meeting of the Oldham Corporation Gasworks Committee it was agreed that gas fires and a cooker would be supplied to all the designated properties requesting them. It was also agreed that a reduced charge of 3d per 1000 cubic feet be made for the gas used. The Byl family had fled from Ghent leaving behind their home and all their possessions because “all the young men in Ghent were being taken by the Germans and placed in the front ranks” to fight Germany’s enemies. Mons. Byl and his son were master builders and Mons. Byl also kept a tobacconist shop in Ghent. His oldest daughter, Helene, who had been working as a cashier at a kinema theatre, had previously worked at the Ghent Exhibition of 1913, and had learned a few words of English there. 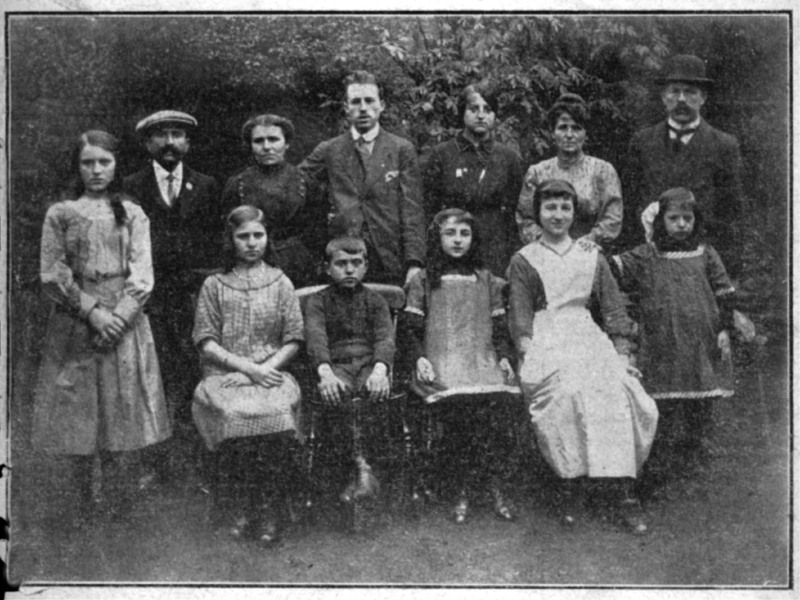 The Byl family were the first of many documented Belgian refugees coming to Oldham to escape the brutal conflict raging in their homeland. They were welcomed by a community that rallied to support them. Thank you to the volunteers who have worked with Roger Ivens at Oldham Local Studies and Archives to research and write this story of wartime generosity .